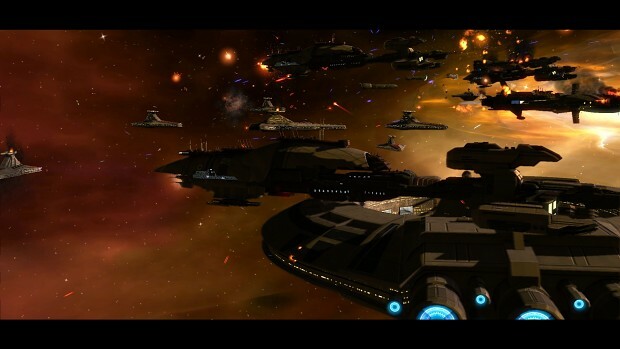 While we have the Vision of the Future preview series of news posts going on for Imperial Civil War (as well as an upcoming overview post for 2.3) and an ongoing beta for Star Wars: Ascendancy for Sins of a Solar Empire, it's been quite some time since we've done a proper news post for Fall of the Republic. 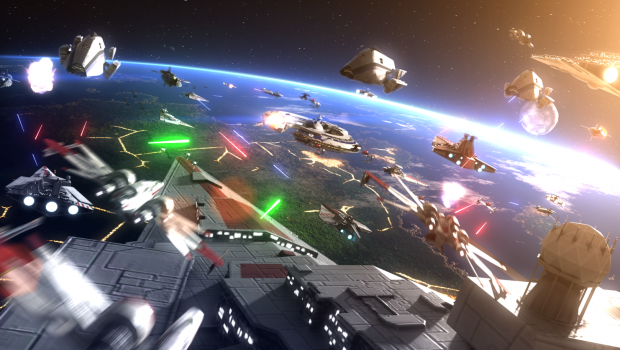 Usually the news posts for Fall of the Republic have assumed a certain level of familiarity with what the latest versions of Imperial Civil War have to offer, which is our Post-Endor mod for Empire at War, but in today's post we're going to be talking about what the first version of Fall of the Republic will include for those without that same level of familiarity. We'll also go over what's been done for the first version, what's still to be done, and what we're less concerned about getting in before starting the beta. What is Fall of the Republic? 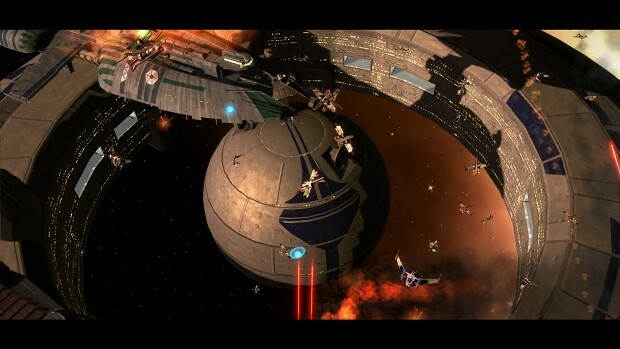 At its core, Fall of the Republic is a Clone Wars era mod for Star Wars: Empire at War- the primary goal of the mod is to cover the war between the Confederacy of Independent Systems and the Galactic Republic between roughly the Battle of Geonosis (22BBY) and the Declaration of the New Order (19 ABY). Like with our Post-Endor mod, while the main conflict of the era provides a focal point, we also aim to represent the galaxy as a whole how it was over this period, which can take the form of various galactic conquest scenarios which may not be exclusively Republic vs CIS, or may not include the Clone Wars at all- we also would hope to expand the timeline in the future either for specific conquests to cover earlier periods, or scripted one-off events which covered earlier conflicts. This will generally not be introduced until later releases. Our goal with the first version (0.5) is to introduce a lot of the core mechanics of mod as they exist in Imperial Civil War 2.3, so the general GC structure, economic systems (with updates to infrastructure preparing for broader galactic and economic changes in ICW2.4/FotR1.0 that we'll cover when the currently developing versions are out) and the main rosters of the factions, with the most iconic units. These were announced earlier in the faction profile news post, but they are essentially just early guidelines- like we've done with Imperial Civil War, we intend to continue supporting the mod and adding/remaking content as we go to ensure we cover as much as we reasonably can. So, while Clones and droids may be what you mainly use in the first versions, in later versions one of the goals is to add more local forces which played a massive role in the war as we have the resources to do so in ways which hopefully help the mod to feel like a real galactic war and give some extra flavour to different planets. So, What is Done and What Isn't? While I've been doing "live" development preview playthroughs on Corey Loses, my Youtube channel, for Imperial Civil War for 2.2 and now 2.3 for about two and a half years now which can give some idea of where development stands for mechanics, this has not yet started for Fall of the Republic, so people are probably a bit less clear on where that stands. I did do two one-off videos in December for the factions to show where they stood content-wise, but since even then there's been a massive amount of progress made. I'll be starting the Fall of he Republic previews in March barring any unforeseen circumstances, but for the moment, we'll just talk about which work remains. For each faction, while we have an overall planned unit list for their heroes, ships, and ground units, there are some we absolutely need done, and some which we'd like done but which, if the core mechanics are done, we're happy to hold off on for the 1.0 update. The biggest thing to be done still are the art assets for heroes; each side has about 7 heroes which still need some amount of work done to get them on the art side. On the positive side, for most of the Republic heroes, Jedi tend to have similar outfits, so the robes I've made this week while working on Obi-Wan and Anakin (models for both of them were finished this week) can generally be used with the other Jedi heroes with appropriate changes to heads and hands- this leaves art for Masters Fisto, Shaak Ti, Windu, and Aayla Secura to be done. For the CIS, after finishing Dooku's model recently, we mainly need to do art for Durge, Ventress, Kalani, Sev'rance Tann, Jango Fett and Sora Bulq. Of these, we'd probably be happy to hold off Secura, Bulq, Jango and Kalani for 1.0 if we reach an otherwise finished state. For units, we're relatively close to being done with all four categories (ground and space for each faction)- while the CIS on ground are currently lacking the BX Commando, Crab Droid, GAT, HAG, MTT and MAF, we're generally happy to hold off on the GAT, MAF and HAG for 1.0. For space, the CIS is probably the farthest thing from completion; they still need the Subjugator (Malevolence), Geonosian Cruiser, Captor, Diamond, Lupus, C-9979, Trade Federation Bomber, Belbullab, Rogue and Ginivex. It's unlikely that any of those will be left unfinished for the initial release, considering the CIS' overall smaller pool of units. For the Republic, between ground and space there are 6 things needing to be fnished; the AV-7, ARC Troopers, AT-RT, Light Assault Cruiser, Charger and Y-Wing (for which the model is done). We've already decided certain assets for them (Mandator, H60, NTB, PTB) will be held off for 1.0. While none of the actual Galactic Conquest scenarios the mod is shipping with have been completed as a whole yet, the main testbed GC is being used to set up and test all of the mechanics, so when it's time to move on to finishing, that one will be converted with a few changes to one of the larger scenarios (at 100 planets) covering all 3 eras of the war. There will be one larger version of that scenario, and one smaller one, with about 130 and 70 planets respectively. We may include specific regional scenarios in the first version, but those will be determined closer to release. One of the other large tasks to do is updating the UI (HUDS, loading screens, etc) from their current Imperial Civil War assets to those more appropriate to the era and factions present. Hopefully some amount of this will be done by the time that the preview playthroughs go up, but if not, you'll likely see some of that as it happens within those. Hopefully this has given you a better idea of what Fall of the Republic looks like now, and will look like when it comes out. Our policy is to never give release dates until the mod is basically done and starting beta, so we won't comment on that, but it shouldn't be too far off now.